The Guardian's Suzanne Goldenberg takes a fossil fueled trip to a remote Alaskan village to tell us recent global warming caused it to sink – but that's not the cause | Watts Up With That? UPDATE: A companion essay to this one, showing how Alaska’s 30 year period of warmth is a product of ocean cycles and now coming to an end is now online here. “America’s First Climate Refugees” are actually a victim of a poorly executed previous government relocation program in 1959 and a change in ocean patterns in 1976. Some days you just have to laugh at these clowns. The Guardian’s Suzanne Goldenberg seems to be in a clown class by herself when it comes to totally botching a story. I suspect her emotions got the better of her. For example, what are the odds that this photo was staged? Such photo manipulation of children by the press has happened before. Flooded area? Hardly. It’s a permafrost puddle, one of thousands in the region around Newtok as part of the natural landscape, though this one may be the result of human influence on the permafrost. Note the concrete remnants. Here, in this photo from the Fish and Wildlife Service, you can see what I’m speaking of. Permafrost is a powerful influence on tundra life. In summer, it traps a layer of water close to the surface, keeping many tundra soils soggy. It cools the soil and the roots of tundra plants, slowing decomposition and growth. 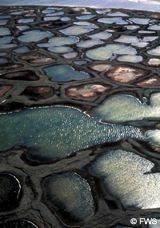 Its presence influences freeze-thaw cycles, forming unique tundra landforms. Polygons (pictured to the right) form when soil contraction creates cracks that collect water above the permafrost layer. This water then freezes and expands, forming ice wedges that force the cracks to widen. Years pass and the process repeats, dry winter cold widening cracks, and summer thaws providing water. Joined across the landscape, these cracks create a network of polygons. Where the insulating layer of plant material has been removed, permafrost melts and the ground above slumps. This is called thermokarst slumping, and it can be a big problem where humans have disturbed the soils. Goldenberg of course thought nothing of those chunks of old concrete the child was standing on, preferring to blame global warming instead. She probably had to, since it is likely she made the pitch to Guardian editors based on that. I can’t imagine her getting funding for the trip to document some “Thermokarst Slumping”. Yeah that’ll fly. No we need climate refugees. The Yup’iks, who had lived in these parts of Alaska for hundreds of years, had traditionally used the area around present-day Newtok as a seasonal stopping-off place, convenient for late summer berry picking. Hmm, I’ll trust the Yup’iks to know better where to camp, after all, they had thousands of years of experience before the bureaucrat tribe set foot in Alaska. When you get relocated to an island surrounded by running rivers on all sides, do you think erosion might be a problem in your future? Since Newtok is in what the Alaska Climate Research Center describes as “maritime”, and only about 20 miles from the Pacific Ocean, you can safely bet the climate there is closely linked with ocean temperatures. Note that in the graph above, about 1976, the temperature of Alaska changed dramatically. Why? I have a definitive essay from Bob Tisdale coming up next that I’ve been sitting on for months, for just this occasion, that will show that the “global warming” that Goldenberg claims is ruining towns in Alaska, is really all about a change in ocean patterns. 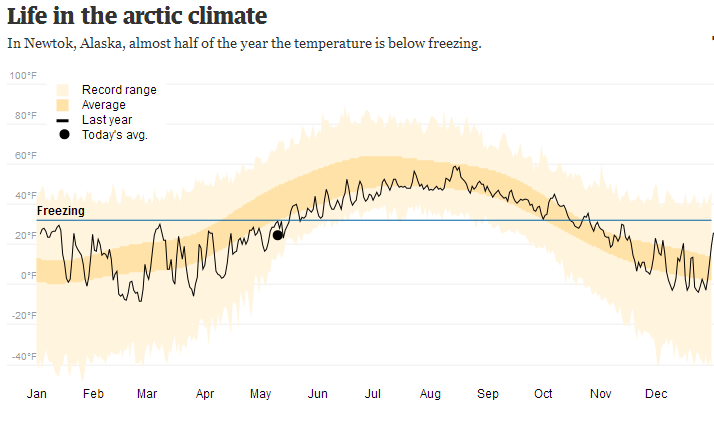 With what looks to be another climate shift in the making now, what will a colder future do for this problem in Alaska? One of Alaska’s most eroded coastal villages is facing a new crisis: the closest river has gotten so shallow that barges can no longer make regular fuel deliveries to the remote community. projects to relocate as quickly as possible. My view is that Newtok was a bad place for the government to relocate the Yup’iks to in the first place, and all was likely fine for awhile, but then the soil was disturbed, permafrost issues like “Thermokarst Slumping” took hold in that small area of habitation, the soil started to weaken and become more prone to erosion, waste heat and other issues associated with the habitation exacerbated the issue, and then the Pacific Climate Shift of 1976 kicked it, long before James Hansen started wailing about the threat of global warming in 1988. Do you think the Yup’iks would be labeled “climate refugees” by an climate activist reporter today if they were still living upriver where they originally preferred to be? Looks like a clear case of the Prime Directive being violated and resulting in a government created mess to me. Of course beach erosion in Alaska isn’t new. The only thing that new is activist disguised as reporter Suzanne Goldenberg thinks there’s a news story about global warming there. At ‘Nuwuk’ [Point Barrow] the evidence of rapid retreat is especially striking. The abandoned native village of the same name, which formerly occupied most of the area immediately surrounding the station site, is being rapidly eaten away by the retreat of the bluff and in October 1949 the remains of four old pit dwellings, then partially collapsed and filled with solid ice, were exposed in cross section in the face of the bluff. In 1951 these four dwellings had been completely eroded away and several more exposed. Coming up next, Bob Tisdales essay on The Significance of the 1976 Pacific Climate Shift in the Climatology of Alaska. 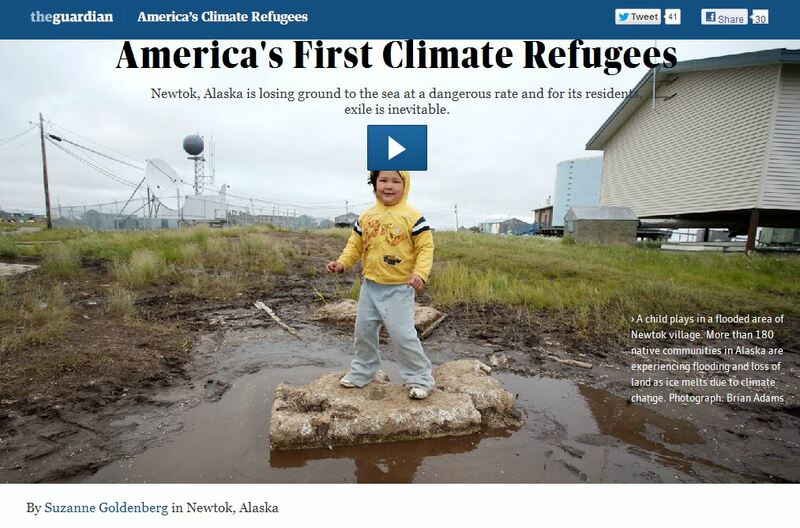 Goldenberg would do well to read it before she traipses off to another Alaskan village to declare them “climate refugees”. That woman is a menace. End of. Yup.And the same crap happens,every year,on Ellesmere Island around Eureka and 200 nm north at Alert.If we flew east,hello Thule.West? Rekayavik North? Well after 20 minutes,there is no north,everything is south.Why are these pathological liars not in jail? There were a number of such relocations. They were not forced in the classical sense, more like encouraged by making the alternatives very difficult. Almost all were poorly conceived. as the migratory geologic purpose of the tribes was poorly understood, and frequently conflicted with ports or airfields. It appears as if the child was placed on that concrete slab – having no mud on the pants that overhang the shoes. I guess that Suzanne has turned off her electricity and is not using fossil fuels, nor is the Guardian? I have yet to see a rigorous report of any kind that depicts mass permafrost melt. Every permafrost melt I have investigated has been local in nature and due to ground disturbance by humans or UHI. I normally would’ve posted a comment at the Guardian but my second account has now been banned. I normally only source scientific papers but even most of those posts have been have been deleted. I also noticed that despite older articles still open to comments the 400 ppm CO2 one is now closed since the admission that revised data shows 400 ppm was not reached. Anything which is under editorial control, even comment blogs such as these at the Guardian are subject to UK PCC standards so if you feel you have any comments unjustly edited you should complain to http://www.pcc.org.uk/. In future, keep a copy of your posts. As I was saying….Climate change??!! But, flooding = wetlands = good (well, it used to). I wonder what she did to persuade Alan Rusbridger to approve the expenses claim. If he reads this post, I wonder if he’ll ask for the money back. That is one nice communication, Radar and Sat setup they have there in that first picture. The second picture actually has a wind mill behind all those heavy power lines that keep them warm too. Let alone the massive runway in the 3rd picture. Looks like the Space Shuttle could land there if we had one. Suprising what you can find in a climate refugee town. LOL! Heaven forbid it would ever get warm enough there to grow a garden. And in recent news Alaska continues to suffer from the effects of catastrophic warming. This is a further sign of recent climate change. did you make a comment below which was removed. It looks like your face under the handle “wattsbot” The comment was removed by moderator. It looks like 3 comments were removed for “wattsbot”. @Jimbo, no that’s not me, but somebody who has stolen my persona. As she is in Alaska, tell her to visit Nenana, there is still ice on the river. I read Suzanne Goldenberg’s and quite frankly it was painfull, the way she would report a series of facts then completely deny the logical conclusion of those facts, like how a village, built on a mud-flats delta, surrounded by a river on 3 sides might erode with or without climate change; and they call us deniers! Same story, different ocean basin: http://www.foxnews.com/world/2013/05/07/rising-seas-in-southern-caribbean-offer-dark-preview-future-amid-climate-change/?intcmp=obnetwork And the story, although brief, does acknowledge that the “rising” seas are due to sand-mining, the obligatory “…made worse by climate change.” is apparently a freebie, pure conjecture, not supported by any references whatsoever. …1)Let’s take this one step at a time. Could it be that Suzanne Goldenberg saw the child as a victim of ‘Thermokarst Slumping’ caused by direct human disturbance and nothing to do with climate?…. 2) These villagers became refugees in 1959 when they were forced to settle there. They have have had hundreds of years to decide their preferred areas, had they been left free to decide (they being in the best position and experienced) then this story might not have appeared in the Guardian. 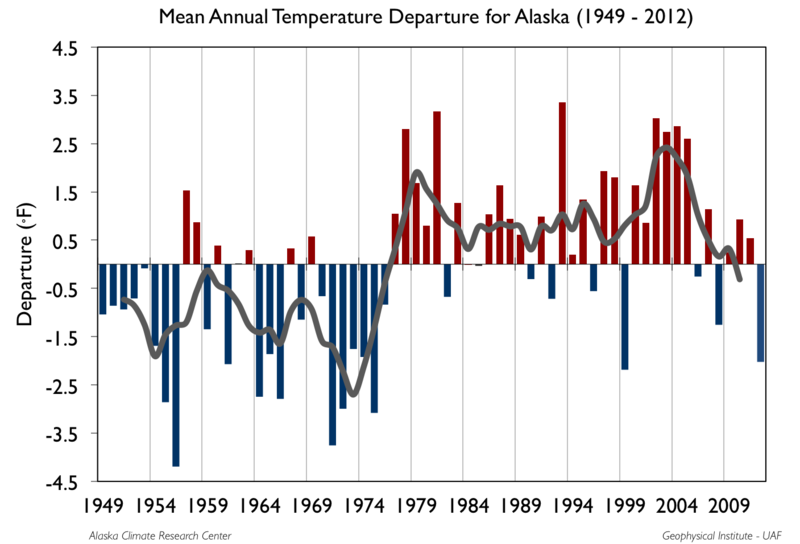 In Alaska temperature has been trending down since 2000 and is below normal for 2012. 3) Is the erosion natural or man-made? If yes then what about this from 1953? It has been a very cold spring here… This little tidbit is from the current forecast discussion. ANCHORAGE IN THE 2ND HALF OF MAY. It is not clear from the article if Suzanne Goldenberg is actually in Alaska. Or the shoes, even. I wanted to be first with that but I see that I am well down the list. If Goldenberg manages that with a polar bear then that WILL be news! In a special three part series on the imminent crisis, the Guardian has visited Newtok….. They can’t see the wood for the trees. It is The Zombie Story From Hell. No matter how many times you kill this thing, it keeps coming back to life. In my five minutes of research, this is what I came up with. The State Of Alaska Newtok Planning Group. The US Army Corps of Engineers Alaska District Soils and Geology Section. …all of which cover the actual details extensively. So could someone explain why the gullible editors at The Guardian flew a propagandist half-way around the world to learn what could have been gleamed from the web? A slow news day is when nothing happens. A bad news day is when they make stuff up about global warming. We’ve had more bad than slow lately. The cold continues in Alaska…yesterday 13 May 2013 both Bettles AK, with 10 F, and Tanana AK, with 16 F, observed the coldest temperatures ever recorded so late in the winter season. Records extend back to 1951 for Bettles and 1949 for Tanana. No, never. They are all statists. When they maul each other then only to deliver a distraction from a big government foul-up. So when you see such mauling you know that something’s going on that they need to cover up. Thanks for this Anthony. You are absolutely right to point out that numerous state-mandated resettlement schemes (be it soviet collectivisation, African villagisation, Indonesian transmigrasi, contemporary highland to lowland resettlement in Ethiopia etc etc) has left millions if people globally on land that should not and cannot sustain such populations. When the unsuitability of the land and the lack investment in the relocation becomes clear and people move on or are displaced there will inevitably be those who claim their predicament to be a consequence if climate change. Much more likely it is a result of failed hubristic development and modernisation schemes – plus a good deal of undemocratic politics. When will the editors of this newspaper realise that everything they publish penned by this person adds to the “loss-making” part of the title “loss-making Guardian”? (Can I draw attention to my new paper “Loss-making Guardian staff are the world’s first climate refugees. They are forced to find jobs!”? Apparently the local people of this area use mostly fuel oil, kerosene, etc. (94.44%) for heating. Don’t they emit soot which settles on any available snow and ice in time for the spring and summer? joke of a paper… who buys Brit newspapers ? It is probable that more people read Graduian (sic) articles on Anthony’s site than the actual loss making publication. LOL. Picture captrion “A child plays in…” walk away. The discussion is framed, the conclusion forgone, by a certian age you’ve already picked a charity. Queue up Sarah McLaughlin and some three legged kittens, my eyes feel dry. The ice out date for 2012 was April 23. Hm, is here anything that could make for a new line in the warmlist? Someone in the spammer fraternity has a sense of humor. I have been getting spam from SG for months. The usual stuff of spam. I am making a resolution now. I am not visiting the type of “news” site that supports this meme again. I used to read it and get worked up, join in and get attacked and covered in spittle. I may even avoid reading articles that expose and debunk this junk. Life is too short to support this ghastly, undying, fear-mongering, twisted rattlebag of lies and distortion by interacting with it. They did not like your WATTSBOT Anthony, just been over to the Guardian mostly bleeding hearts ..and one Danny Heim with tears?? Some one was good enough to post a link to this thread on your site,though would expect no one to read it ..too many facts from JUSTTHEFACTS Good Lad!! They think they’re scaring people. What they’re really doing is teaching people to be skeptics. The ignorance of this woman is breathtaking in the extreme. Perhaps she might want to know Eskimos, the name back then, were the original kayak builders of their day. Hint – they used them paddling in the open Arctic Ocean hunting long before white man ever came to North America. Paddling in the open Arctic Ocean means open water, melting long before white man. Hence thawing the permafrost as well long before white man. God! Stupid doesn’t even cover this bimbo. Camera looking NEE. This sorts out the photo background, buildings, tank, dish. Bing browser map Blue spot is slightly wrong position. Teachers, polytechnic lecturers, BBC, civil servants. The Grauniad (sic.) is kept alive by Auto Trader (irony anyone?) and govt. and BBC job ads. Hate to be a pedant but I think that cute kid is standing on a piece of polystyrene (styrofoam?). The grandad is kept alive by a huge trust. — source BBC raido interview of the editor. More or less he explained they can carry on for ages. Is she for real? Where do they come up with this stuff? The stupid, it burns. The Guardian? Why would you even bother to read their drivel.. Simply clicking on their link so I can disagree with them is far more support than Im willing to give..
You know if I was going to do a story about a sinking village, I’d take a photo that showed a sinking village, not a photo of a puddle. Maybe they couldn’t get a photo of a sinking village? The Guardian has a slogan…’comment is free’ I think they should add…’unless you disagree’! The white dashed area around ‘A’, is presumably the ‘municipal district’ of the village. About a 3rd of it is in the river. Large meandering rivers, like this one, meander. That’s what they do. The village is sited at the most vulnerable location, right on the outer bend where erosion is strongest. Just like the east coast of Yorkshire, you can’t stop such erosion, unless you build massive man-made barriers, sea walls, etc, ie, by interfering with nature. I thought that the USA’s first climate refugees were the retirees who moved to Florida and Arizona some considerable time ago. The comment never violated their ‘standards’. No wonder the Guardians circulation is circulating down the toilet. Lets be honest here.. These alarmists blow into these welfare towns with tall tales of easy money..
Its no surprise that they are open to the idea and would be willing to say or do most anything to secure the money.. So Im quite sure there is a endless supply of factoids when these two groups lock lips..
it boggles the mind that anybody would take anything they say seriously.. Here is the comment I last left at the Guardian. Attempting to shut down the debate by force will not work. The Guardian is not the only means of getting information in this world. It simply drives people elswhere where they might never be converted to your cause. Converting the converted is not a winning strategy. Becoming an echo chamber is not a winning strategy. Just ask any politician who goes out electioneering looking for votes – the strategy will fail. It’s better to engage rather than ban. The Guardian’s sole purpose is to keep its readers engaged by telling them what they want to hear.. Leftist green minded people go there because they know what to expect as well as how they will respond.. A safe haven with no intellectual risk involved.. The press isnt free anymore because the editorial staff are beholding to ever decreasing readership.. Advertising down, sponsorship down, readership down.. Now they are paywalling for content that isnt even worth pocket change.. 2.99 for biased BS? No thanks I get my BS for free..
Blogs are far more entertaining and informative..
Here’s a report that says the problem is river erosion… and they blame climate change for causing more water to flow. The near once bankrupt Guardian newspaper is being pushed out across the internet by lefties to further inflict communist causes on the masses, while they enrich themselves as the holier than thous eco class. They must have some serious left wing colleagues at a certain search engine promoting their eco bible website. Parasites and green collar criminals the lot of them. I fear the silly claims of CAGW; AKA Man-Made-Global-Warming will continue for some time no matter how wrong they are and no matter how many times their utterly ridiculous claims are debunked. We are surrounded by myth – evil myth. Paul Erlich still makes a good living with his Population Bomb / Scarce Resources Rubbish – and isn’t his pal John Holdren continuing his stellar career as Obama’s “Science Czar”? There is a market for this poison. It pays. Amazing and always surprising to me. I mean, after 2009, Climategate I, and then the disaster that was Copenhagen one would think at least a healthy even if minor case of skepticism would creep into the greater media; after all it is a great story and the skeptical blogs have had year after year of success and steady patronage. The media heads must read (or have a person assigned to read) this and other skeptical climate blogs and they just can’t be so pig headed, ignorant, or just stupid as to not get it. Oh well, I’m really just voicing my amazement at how the beast just lives on and on and then this piece of dreck from the Guardian… No it’s not dead; maybe not even dieing. Sad. Misrepresentation is the Guardians stock in trade. Put that together with a silly little activist like Goldenberg and misrepresentation on this scale is the least you can expect. Thankfully very few of the public are either interested in their activism or willing to pay for the drivel in this publication. The paper is losing money on such a scale it is unlikely to last much longer. Look guys, it is globally cooling. This global cooling will not stop. It is a natural process. As the temperature differential between the poles and equator grows larger due to the cooling from the top, very likely something will also change on earth. Predictably, there would be a small (?) shift of cloud formation and precipitation, more towards the equator, on average. 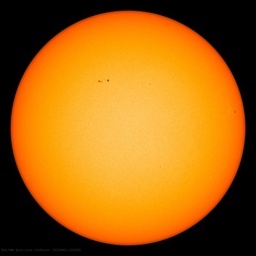 At the equator insolation is 684 W/m2 whereas on average it is 342 W/m2. So, if there are more clouds in and around the equator, this will amplify the cooling effect due to less direct natural insolation of earth (clouds deflect a lot of radiation). Furthermore, assuming equal amounts of water vapour available in the air, less clouds and precipitation will be available for spreading to higher latitudes. So, a natural consequence of global cooling is that at the higher latitudes (>40) it will become both much cooler and drier. I recommend that those farmers in Alaska pack their bags and move towards the equator where there will be more rain in the decades to come, and not less. I have to say that on the Guardian sceptical commenters are having a field day with debunking. A couple of folks claim to have visited the area and 1 claims a relative there. Both are sceptical of Goldenberg’s claims. You have to go to the second page of the comments. Goldenberg is an embarrassment to the journalistic profession (if such a thing is possible). 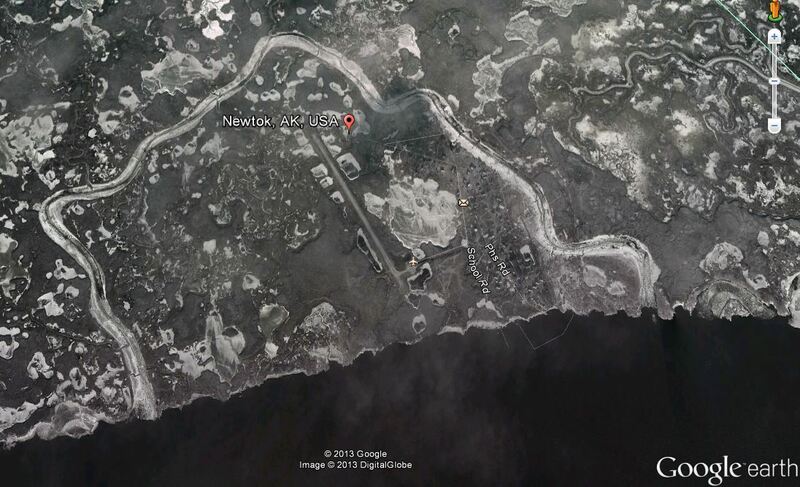 Newtok is 1.1 sq miles, has a population of 350, has 65 households and has a population density of about 345 per sq. mile. Apparently even a dog could cause permafrost slumping. Hmm. They sent this lady to a place where it is cold and muddy, with lots of mosquitoes? Did she offend someone back at the office? Hi Oakwood, I read your piece and it certainly was a professional, journalistic standard comment. Better than Goldenberg’s fairy tale. Overall we sceptics have managed to eviscerate her nonsense. She failed to understand that there is a reason these people were traditionally semi-nomadic folk. They moved for reasons. I’ve been pre-moderated too for a while. But in a way, its to our advantage. Many pro-AGW comments are outrageously extreme, often quite nasty, and the most ridiculous claims get published because they give the ‘right’ answer. As sceptics, we are forced to be incredibly moderate and factual in our comments to stand any chance of being approved. Thus, we end up sounding more rational against the irate. Also, I no longer appear as “comment removed for breaking house rules ….”. This is indeed the case, and you are right we come over as calm and rational. Even when they call me names I resist the urge to bite their heads off in case I’m banned again. The best defence I find is to keep pointing them to the evidence and keep your comments as short as possible. The more you write the more they nitpick like a spelling mistake here or even 1 word or a wrong day there. The Guardian has written to me and demanded that I take down the head photo, saying it violates copyright, but that I can purchase a license. I’ve reminded them of the fair use exceptions, especially where criticism is involved (I think it is staged and doesn’t represent what is claimed), and politely told them to bugger off. We’ll see what happens. You can say “bugger off”, without losing the intent. The availability of subsistence resources has historically determined where the Qaluyaarmiut lived at different times of the year. As recently as the 1960s, the Newtok village site served primarily as a winter camp for the residents. The village population would move by dogteam in April, before ice break-up, to the summer fish camp at Nilikluguk on Nelson Island (about six miles from Tununak). At Nilikluguk, the community lived in tents all summer long. In early June, most of the men would travel to Bristol Bay to work in the canneries. The winter months were spent at the Newtok village site. Around 1968, the Nilikluguk fish camp was abandoned after massive landslides buried the camp area and altered the shoreline enough to affect the seasonal movement of herring along this portion of the Nelson Island coast. Villagers still use the area for spring sea bird and seal hunting. They lived as nomads, going on the rocky but exposed island during summer. We, in the U.S., have our own version of Guardian. It’s called National Public Radio.